YELLOWSTONE NATIONAL PARK (KTRK) -- For the second time this year, a visitor of Yellowstone National Park has been attacked by a bison. This time, a 62-year-old Australian man sustained serious but non-life-threatening injuries after an encounter with a bison near Old Faithful Lodge. Witnesses say several people were crowding a bison that was lying on the grass near an asphalt path. The man then began walking towards the bison while taking pictures with an electronic notepad. Witnesses say the man got to within 3 to 5 feet from the bison when it charged him, tossing him into the air several times. The man was taken by helicopter to the hospital for treatment. 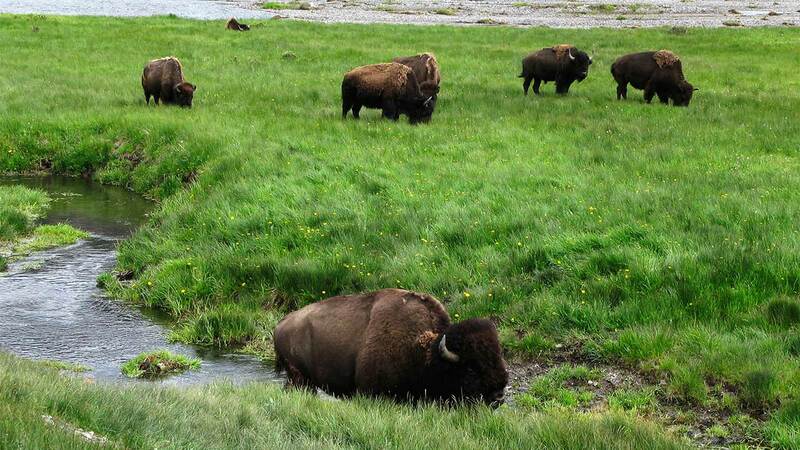 Just last month, a teenager from Taiwan was gored as she posed for a picture near a bison.